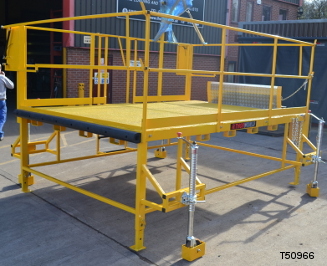 The platform needed to be mobile which was achieved with the use of wind down wheels, and height adjustable fixed legs allow the platform to be used to serve a wide range of vehicles. 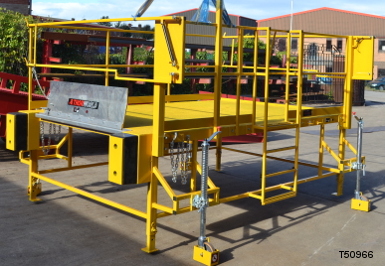 Special features: Anti-slip grit coating, counterbalanced safety gate, castors for movement, hinged bridge plate to bridge gap between vehicle and platform. 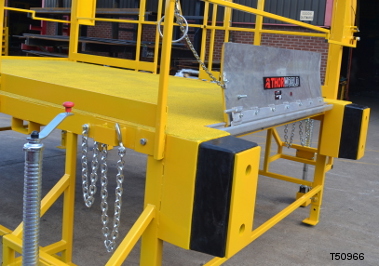 A Dock light was also fitted to improve visibility inside the trailers.